It was April 26, in the spring of 1913, that Mary Phagan went down to the pencil factory in Atlanta where she worked. She was going to pick up $1.20, which she had earned working twelve hours that week. Mary Phagan was thirteen-years-old. The man who paid her, Leo Frank, was the last person to acknowledge seeing her alive. Her body, bruised and bloody, was found that night in the factory cellar. Her murder electrified Atlanta’s population, so repulsed by rumors of sexual assault and the senseless murder of a young girl. They followed the story in the news and demanded swift action by authorities. Leo Frank became the prime suspect. He was Jewish, a member of The Temple, and he’d come to Atlanta from the north. As such, he was an easy target for the anti-Semitic population who distrusted northern merchants who had come south following the Civil War. It hardly mattered that the evidence against Frank was circumstantial and thin, at best. The primary witness was a janitor who claimed he had helped Frank dispose of the body. He had given four different, and conflicting, affidavits prior to trial. Mobs of people gathered outside the courthouse, cheering on the prosecutor as he came and went each day. Whipped into a frenzy by newspaper coverage, much of it anti-Semitic in tone, they erupted in cheers when the jury returned a guilty verdict following twenty-five days of trial. Following a series of failed appeals, the governor of Georgia, John Slaton, was contacted by Frank’s attorneys. They sought a commutation to save their clients life. At the same time, Thomas E. Watson, the publisher of the Jeffersonian began a campaign against Frank and commutation of the sentence. His open rants against Jews generally and Frank particularly sent his readership soaring. Public outrage grew right along with his circulation numbers. Yet Slaton began to review the case in great detail, even going so far as to visit the pencil factory. After reviewing more than 10,000 pages of documentation, Governor Slaton commuted the sentence to life in prison. His decision flew wildly in the face of public opinion. Enraged Atlantans marched on the governor’s mansion, forcing Slaton to declare martial law and call out the National Guard. His term of office ended just a few days later, at which time he was escorted to a train station by police. Slaton and his wife boarded a train, left the state, and did not return to Georgia for more than ten years, so great was the public outcry against them. Frank’s fate was considerably worse. The mob that had marched on the governor’s mansion turned their attention to the prison where Frank was being held. They stormed the gates, dragging Frank out and transporting him to Marietta, where Phagan was from. 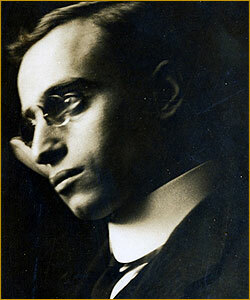 From an oak tree, on the morning of August 17, 1915, Leo Frank was hung by a lynch mob. In the crowd were prominent political and business leaders, including the son of a United States senator. Later, the leaders of the lynch mob, calling themselves the Knights of Mary Phagan, gathered atop Stone Mountain. There, they revived the Ku Klux Klan. Frank’s death at the hands of an openly anti-Semitic lynch mob, led by the leaders of the community, whipped into a frenzy by the editor of a popular publication, alarmed Jewish leaders across America. This dark chapter in America’s history frightened members of The Temple and Atlanta’s Jewish community even more. A sense of security that had pervaded the Jews of Atlanta was shattered, and it would not be restored for decades. In the wake of the lynching, the Anti-Defamation League was founded to combat bigotry generally and anti-Semitism specifically. Yet here in Atlanta, many Jews retreated from public life. Once present across the spectrum of political life, no Jew ran for office for over two decades after the Frank lynching. Frank himself received the smallest measure of justice in 1986, when he was given a posthumous pardon. Four years earlier, eighty-three-year-old Alonzo Mann testified that as an office boy at the factory, he had seen the janitor carrying Mary Phagan’s body. He was threatened to remain silent, and did so for almost seventy years. While the testimony did not fully exonerate Frank, it was a major development that led to his 1986 pardon.